Using artificial intelligence to predict whether or not a certain script is worth making a movie out of it – and, better yet, a movie that generates big bucks. 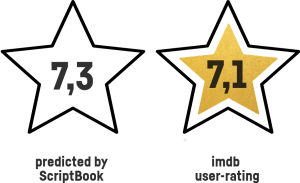 That is what ScriptBook does. And its creators knocked at Combell’s door for specialised hosting, whereby processing power and confidentiality are of utmost importance. Did you know that, every year, at least 50,000 new screenplays are registered with American labour union Writer's Guild of America? And that Hollywood studios release only 150 films a year – an increasing number of which are sequels to existing franchises? For screenwriters, that leads to the very disappointing conclusion that the average screenplay has only a 0.003% chance of becoming a film. And even then, there is no guarantee that this film will be a blockbuster: 90% of films lose money after their release. And only 6% of films generate profit, representing about 80% of Hollywood’s total revenue. For Hollywood, being able to predict whether or not a script can become a film that is a great commercial success is like the Holy Grail. Nadira thus decided to use artificial intelligence to reach this goal. After she founded ScriptBook, of which she became CEO, the company developed the Script2Screen software, which used algorithms that were trained using a dataset of scripts that turned into films between 1970 and 2016. 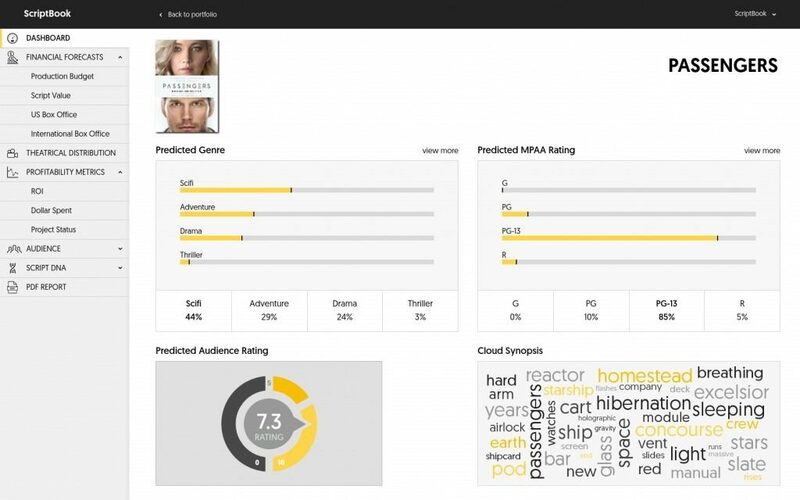 Not only does the result of the AI analysis reveal whether or not a film, based on a certain scenario, can become a big hit, but it also provides insight into the storyline, the target audience and the market positioning. This technology is not really intended to spot future blockbusters, but to avoid expensive flops. The initiative was met with great scepticism. But the results were quite remarkable: the ScriptBook algorithm seemed to work very well. 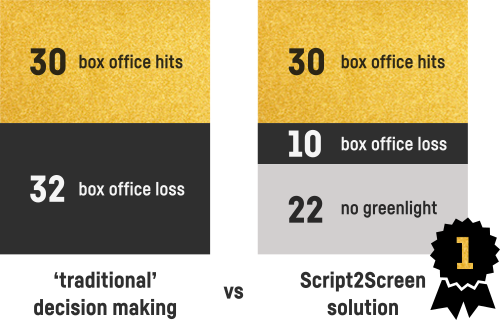 In a use case, the website mentions that, of the 62 films that Hollywood studios released in 2014 and 2015, 22 out of the 32 that were a failure, had received a negative report from ScriptBook. And conversely, all films that performed well at the American box office had received a greenlight from ScriptBook. The company thus started attracting international attention. 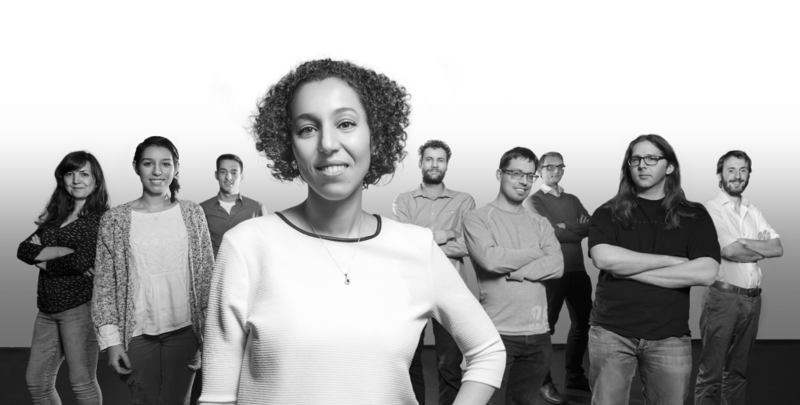 In 2014, it entered in Telenet accelerator Idealabs top 10 best start-ups. And in 2016, it announced a 1 million euros seed round, led by PMV and Pamica (investment company of Michel Akkermans). This funding was used to support the company’s international expansion plans, but mostly to professionalise the underlying infrastructure. 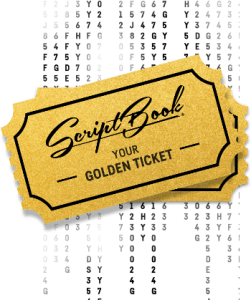 And for the latter, ScriptBook came to Combell in early 2017. In the past, the price was the main determining factor when choosing hosting, whereas after the seed round, the reliability of a professional hosting became much more important. ScriptBook was looking for hosting that meets strict requirements. Not only did the AI tool need to be able to offer the necessary computing power, but studios, which apply strict NDAs, also required the utmost confidentiality. Screenplays cloud not be disclosed publicly, which is why virtual servers, which are shared with third parties, were out of the question. Combell thus presented a cloud solution, whereby hosting runs on its own physical machines. As an additional protection, Combell presented a network-level zoning system, with clustered dedicated firewalls. As a result, the www server and the web app server sit in a private Production DMZ, a physical subnetwork that isolates specific services provided to the outside world from the strictly confidential sections. The production algorithm and the jira/bamboo server thus sit in a separate Trusted VLAN. And there is yet a third dev/test VLAN, where the dev and test server sits. So, this is a specialised solution, whereby both confidentiality and computing power are guaranteed thanks to the various cloud servers that sit behind the dedicated firewall. And this is how Combell helps a Belgian company that came up with a very original idea pursue international growth. Professional hosting, tailored to specific needs. That is what Combell does best. If you, too, have projects in mind, feel free to contact our specialists. They will discuss the project with you, and will certainly find the adequate solution that will take you to the next level!